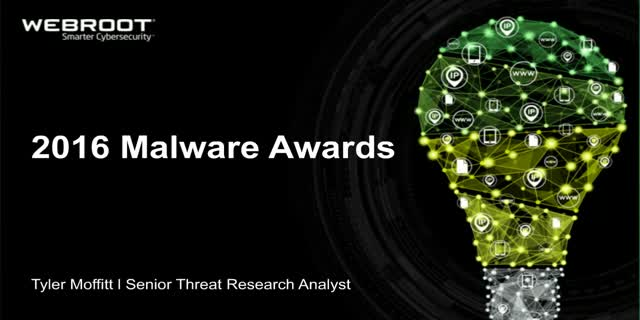 This webinar will provide expert insights on the latest cybercriminal activity and recognize the year's most innovative, dangerous, and pervasive malware. Specifically, we will be covering the latest developments and providing updates on Angler, Neutrino, CryptXXX, TeslaCrypt, Locky, Cerber, CryptoMix, and RaaS. Come learn about these developments and strategies to help secure your organization from ransomware and next-generation cyberthreats.